lots of thinking hurts | you seem nice. may i just say that this comps business was THE most stressful thing i’ve ever experienced in ALL my years of schooling. like frreal. it was rough. hope everyone who still gets a spring break enjoyed their spring break! 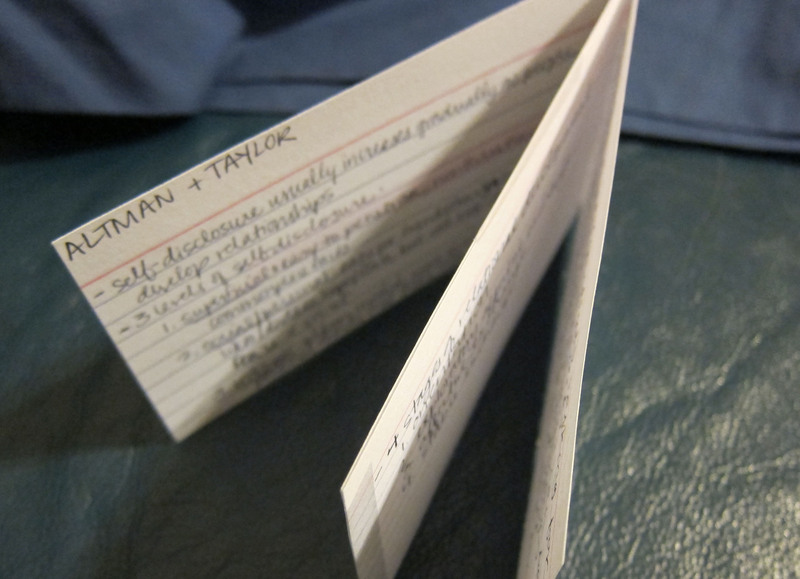 mine was spent studying tiny booklets made of notecards. as you can see, my note-taking got a little intense. this was at its peak. so yeah, comps are over. OVER. hopefully. we supposedly get results sometime next week or the next. it’s the good ol waiting game. i usually don’t mind the waiting game, but when it involves oooh, i don’t know, the future? i hate it. the UH announcements have been delivered & the cap/gown/tassel/hood have been purchased. aaaahhhh so much anxiety about the comps results. moving on to not stressful things. 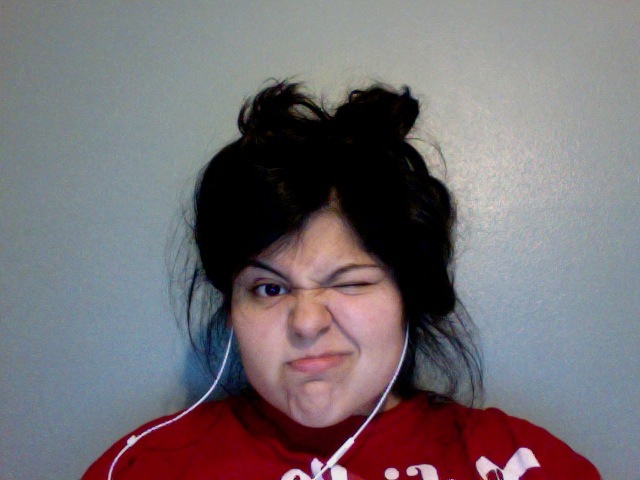 comps were monday and tuesday mornings, which left tuesday afternoon/night wiiide open. so what did i do? i started my version of spring break! tuesday – sunday (3/25) is my official unofficial spring break time. but i still have work, so it’s like a mini spring break…and because i’ve only done like 3 things. tuesday night i saw fun. with christy! it was awesome. and then thursday night/friday morning i went to a midnight:05 showing of the hunger games! which was awesome too, so you should totes see it. regardless of whether you’ve read the book(s). then TODAY (3/24), i went to the zoo with dominique and we got in fo free because we’re UH students. 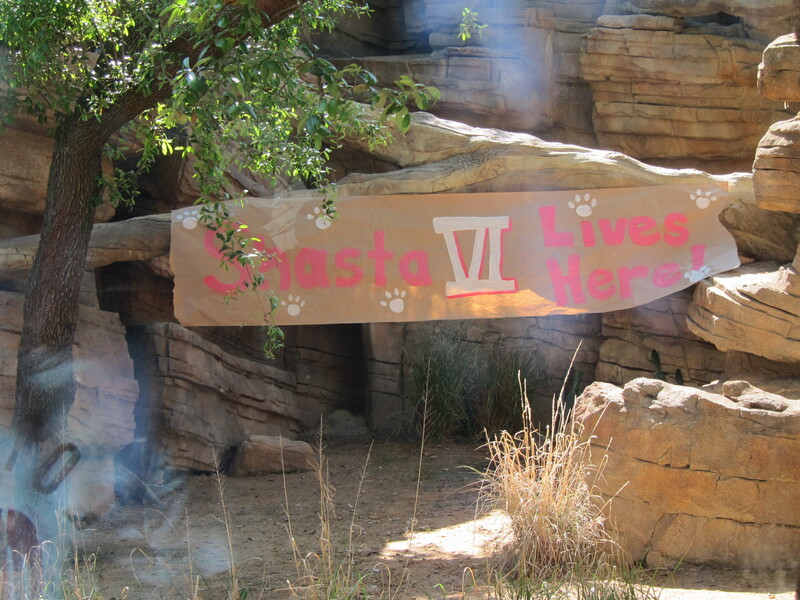 the zoo and UH are doing this partnership thing where the zoo is housing a male shasta vi, and today was his debut. they’ll stream his habitat or whatever during the games in the fall. 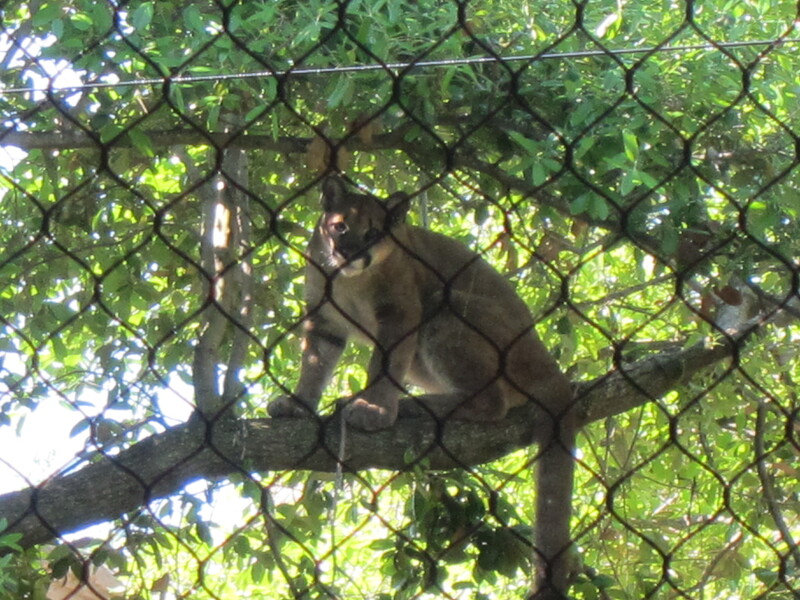 according to the zoo staff, he’s super laid back and “more docile than the female.” apparently the lady counterpart is a lil cray, but that’s ok.
just chillin in a tree. and now…time for pre-birthday weekend shenanigans! say whaaa? one more thing! genevieve is defending her thesis on wednesday (3/28) so everyone send her straight up awesome vibes! and jeff got into med school in grenada, everyone hope he starts a blog with a title referencing a box of tea. so not joking. my friends are like super intense right now. merry spring time and cheers to life results!